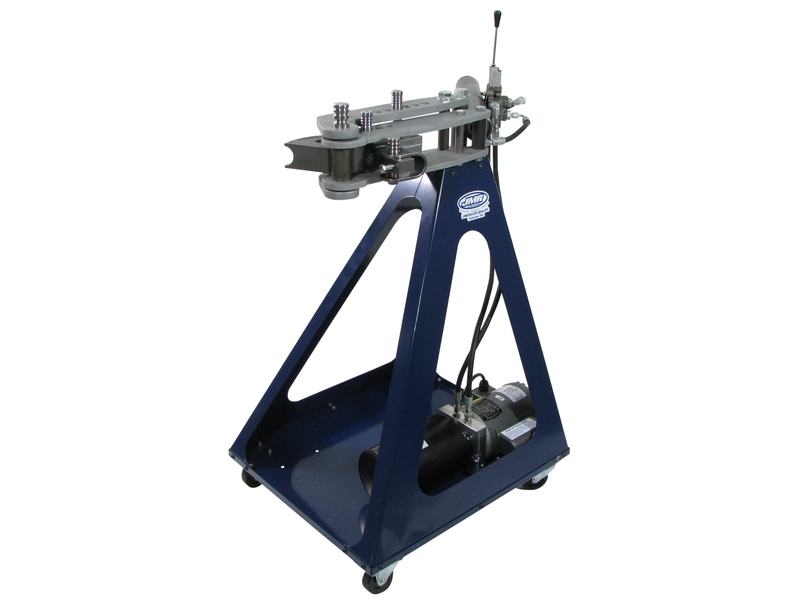 New for 2014 is the TB-1000 bender from JMR Manufacturing. This high quality machine is priced for the hobbyist and produces professional results. A 2-1/2 inch bending capacity and 180 degree capability makes this an amazing value. This unit features 110v electric/hydraulic power with a simple control lever to bend at approximately 3 times the speed of air/hydraulic powered machines. This machine also utilizes a powered cylinder return for faster cycle times and a more consistent zero point. Options for this machine include a long stroke cylinder that will perform a 90 degree bend in one stroke and a Deluxe Tooling package featuring 3 die sets and a steel degree ring and pointer. For more information about this machine and many others, visit www.trick-tools.com or call our toll free line at 1-877-826-7268.